preparation. Medicine is the Backbone of NEET PG Preparation. Questions from Medicine as well as Medical Subspecialties form the main emphasis of NEET Examinations. Medicine Questions are asked from Cardiology, Gastroenterology, Endocrinology, Neurology, Hematology, Pulmonology , Connective Tissue Disorders. A basic Pathological Concept of Disease is Important. Main Textbooks like Harrisons Medicine and Davidsons Medicine should be well studied. At least during the MBBS itself. It becomes difficult to garner Better concepts at a later stage with Piling up of so many Subjects. One should Practice as many questions as possible. Medexamsprep offers one of the best platforms for the same. We have a large question bank wherein we have Questions based on Latest Pattern for ultimate success. The questions asked are clinical questions, Based on Lab values, Important Topics, Important Syndromes, Basic Concepts in medicine, Disease Categories, Underlying Genetic Mechanisms, Causative Factors plus a whole gamut of Questions pertaining to Skin Diseases (Dermatology). SLE, Mixed Connective Tissue Disorders, Thyroid Problems. MEN Syndromes, Anemias, Leukemias, Blood Dyscrasias, all are High Yield Entities. 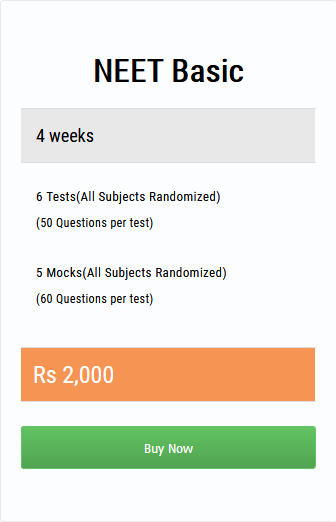 Our Experts have compiled the Best question Bank based on NEET Type questions to give students the ultimate scoring ability. Questions based on Common terms like Antiphospholipid Antibody Syndrome, HELLP Syndrome, Alport’s Syndrome, Kallman’s Syndrome, Turner, Downs Syndrome are frequently asked. Focus Should not be on cramming but understanding real Concepts of Medicine.